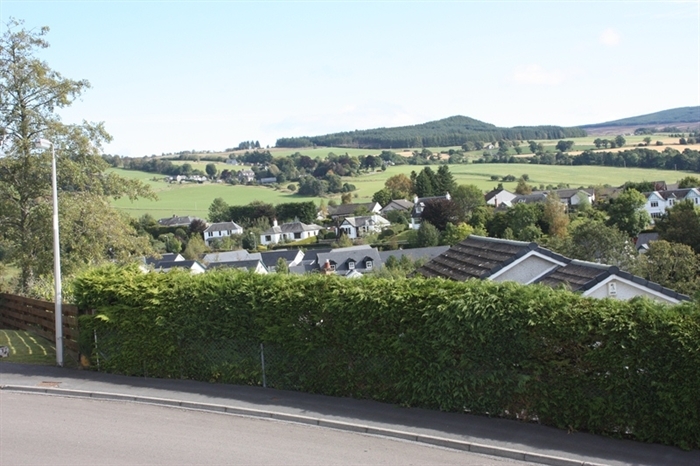 Comfortable modern semi-detached bungalow with excellent views over the Tummel Valley. 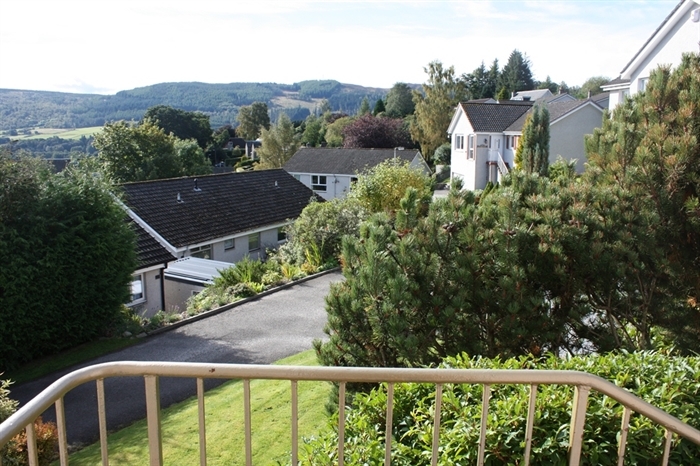 In quiet location about 500 metres from Pitlochry's main street. 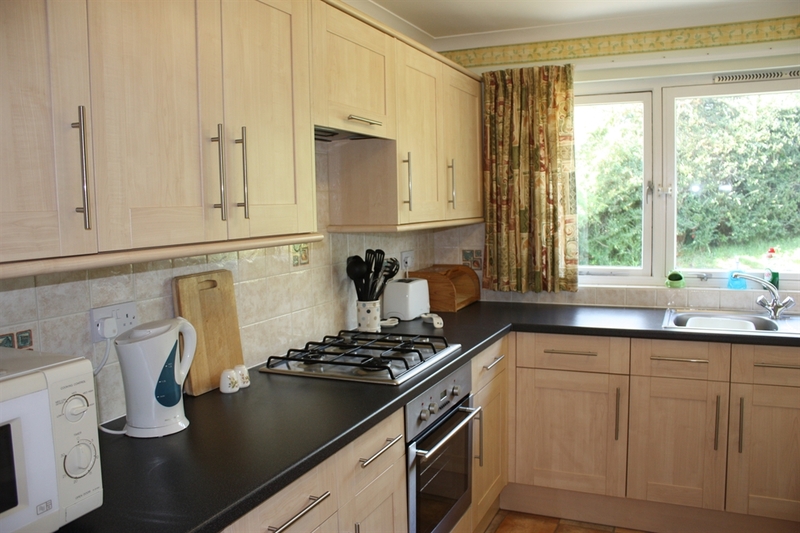 Central heating throughout, private parking and garden with garden furniture. WiFi. Sleeps 4. 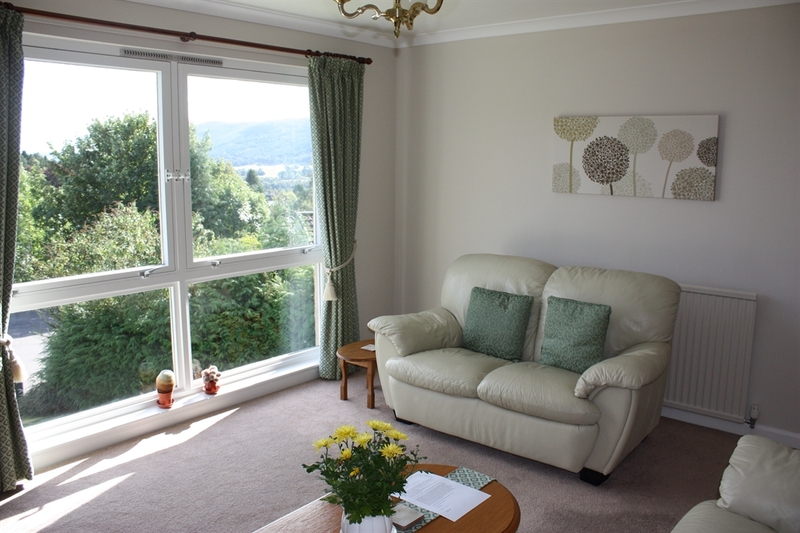 The accommodation is owner maintained and non-smoking, all on one level with access by a short set of steps, and consists of: sitting room with 3 and 2 seater settees and 40" Smart TV with digital recorder and DVD player, with excellent views over the Tummel Valley from the large picture window; fully equiped kitchen with electric oven and gas hob, fridge, washing machine, microwave, kettle and toaster; double bedroom and twin bedroom, all beds with duvets; bathroom with bath and overbath shower, w.c., wash hand basin and electric shaving point. Linen and towels provided. Large travel cot and high chair available on request. Gas central heating throughout. WiFi. No pets. Garden with garden furniture. Private off road car parking, beside the house. 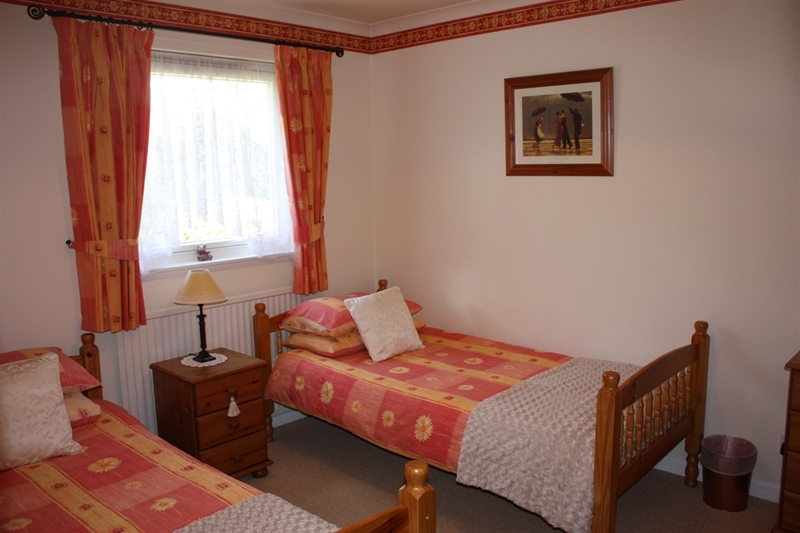 In a quiet location, and only a short walk (about 500 metres) to the shops and other facilities including the railway station. 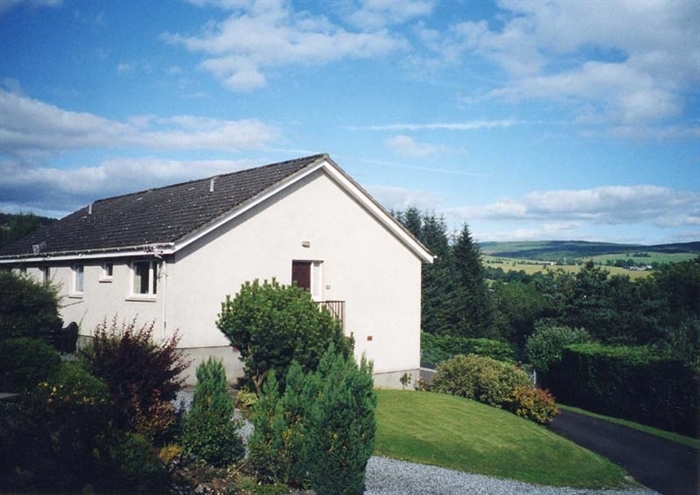 An ideal base for touring, walking, golfing and fishing, or just enjoying local facilities such as the Pitlochry Festival Theatre, the salmon ladder at Pitlochry Dam, and the local whisky distilleries. Usually let in units of complete weeks, Saturday to Saturday. 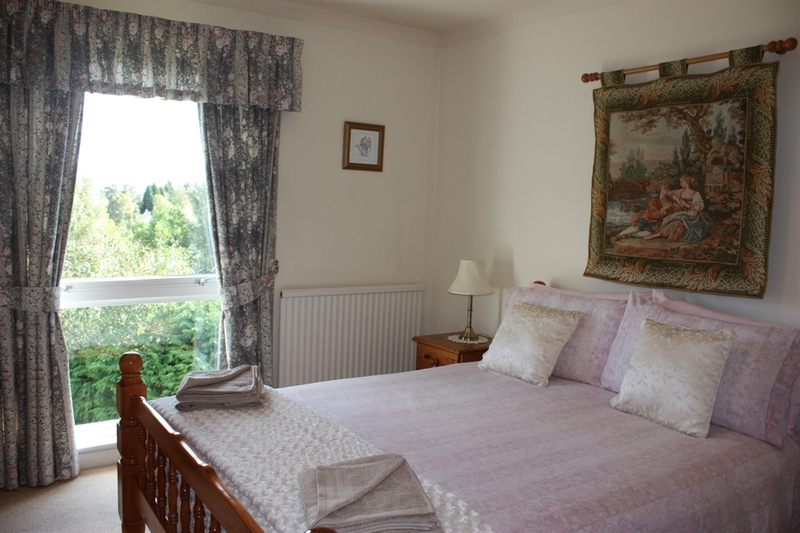 However, short breaks may also be possible, particularly off-season, and at short notice.